Sportsbooks if they haven’t already, should be all over this with their entertainment offerings. There’s a long list of actors with agents ready to literally bend over to get thier actor the part. So who will be the next Superman? Your guess right now is as good as mine. 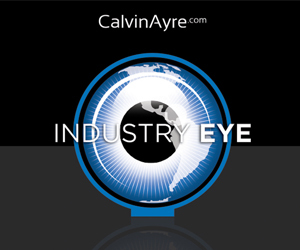 I’d vote for DAF award winner Calvin Ayre, only Superman could drink that much and still carry on! The current list of names of candidates being thrown around include Ryan Reynolds, Henry Cavill, Jon Hamm, Tom Welling, and even Ben Affleck, which to his credit, was ressurected his career as far as respectable and watchable productions go. But If I had to pick, I’d say Jon Hamm would make a good Superman, he’d have to get into better shape to play the man of steel though, and his age might hurt his chances. I think Superman fans can rest assured that this one will be better than the last one, at least it will be more violent and look cooler with Zack Snyder at the helm. Hopefully they won’t get a forgettable face to play the son of JOR-El this time. So let’s go sportsbooks, let’s get those odds up!